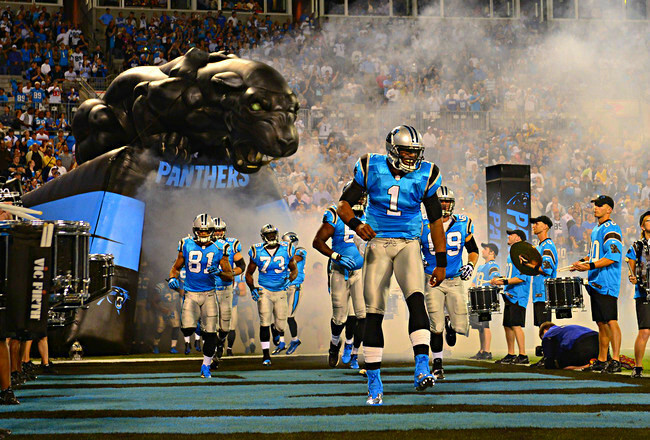 What did I learn from the Carolina Panthers? 1. My grandson’s two favorite teams in the NFL are the Panthers and the Seahawks. The experience was wonderful. We were seated in the end zone and Jay got to see all of his heroes, up close and personal. As I watched the Panthers execute a nearly flawless first half, I have to admit the second half brought some other emotions. As we watched the game I began to think about what was going wrong. In the end our panthers won and advanced to the Divisional Championship game. Former Heavyweight Champion Mike Tyson is credited with saying “Everyone has a plan ‘till they get punched in the mouth. What will we do when we get punched in the mouth? The Panthers got punched in the mouth on the opening kick off of the second half but still managed to prevail. What lessons did I learn from this game? Somehow we must learn to stick with the plan. 1. Never rest on the lead. The panthers seemed to be content to ease up a bit after jumping out to a commanding lead. While there is time for rest, it is never during the game. Maybe you are in a good place right now in your life. Don’t take it for granted. Now is not the time to rest. Stick to the plan. Never rest on the lead! 2. Never underestimate your opponent. The two teams on the field Sunday were professionals and it was foolish to think that a team led by a proven coach and a Super Bowl quarterback were going to continue in the same pattern of ineptness when the second half started. For us, we must remember who is our real adversary. 1 Peter 5:8 says “Stay alert! Watch out for your great enemy, the devil. He prowls around like a roaring lion, looking for someone to devour.” Never underestimate your opponent! 3. Never play soft. We have to be all in all the time. Tom Landry once said, “Setting a goal is not the main thing. [The main thing is] deciding how you will go about achieving it and staying with that plan.” When challenges come to us, we stay with the plan. We can never give in, never give out, and never give up. Never dare to play soft! 4. You can’t win a game in the first quarter but you can certainly lose in the 4th quarter. We must play all the way through the game. It’s only as we stay in the game that we will be able to say with the Apostle Paul, “I have fought the good fight, I have finished the race, I have kept the faith.” (2 Tim. 4:7).